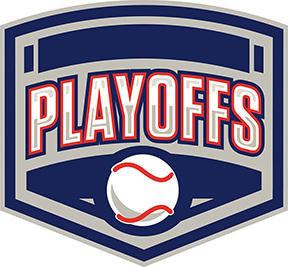 (November 8, 2018 – Dallas, TX) The NTABL fall baseball seasons for both Brazos and Trinity Divisions completed it’s collective face-plant this past week as yet another rain out made it nearly 3 straight weeks without playing baseball for the Spirits (35+) and one game played for the Spirits (18+) squad. Rains in the past two weeks have demonized the ability to play baseball in the metroplex and with a lack of turf fields available for the adult league to play on, the combination proved fatal for a fall season of baseball that really had no momentum or appeal to begin with. The Spirits (18+) squad (5-3) finished as the number five seed and will host the North Dallas Blue Sox (2-7) at First Baptist Academy on the south side of Dallas, near the border of Mexico starting at 1:00PM. You can click here for schedule details. For the Spirits (35+) squad (6-0-1), they finish as the number one seed and they’ll play host to the Royals Baseball Club who failed to show up with a team the last time the two squads were scheduled. That game is also scheduled at First Baptist Academy starting at 5:30PM and you can click here for those schedule details. No passport is required to travel to this game.